What kind of woman ventures into London’s most notorious pleasure club? An outsider like Graciela, the Duchess of Autenberry, snubbed time and time again by society because of her Spanish roots. Ela longs to take a lover for a single, wild night, and within the walls of Sodom there are gentlemen to suit every forbidden taste. If only she were not so drawn to the smoldering Lord Strickland…a dangerous man who sees beyond her mask, and could ruin her reputation with a mere whisper. Lord Strickland never permitted himself to fantasize about the sultry, off-limits lady, but then he never expected to find Ela in a place so wicked, looking for what he’s more than too happy to give. She may not be to the ton’s taste, but she suits him perfectly. First, however, he must convince her to trust in this dangerous desire—and in the promise of forever unleashed by one wild, scandalous night. Graciela (Ela), Duchess of Autenberry, does something greatly out of character. She approaches a club called Sodom, aptly-named, in search of what certainly is elusive contact - if just for a night. Imagine her horror when the widow spots her stepson in the club. If the Duke sees Ela she will lose everything, her family as well as her reputation. Colin, Lord Strickland, comes to her aid. When Colin sees the predicament Ela has gotten herself into, he gallantly steps in. After all, as stepmother to his best friend, he cares what will happen to her. He knows of some of the challenges she faces, including her being Spanish, and that she has already been snubbed. He can’t see letting things get worse for her. What happens afterward permits Colin to reveal a well-kept secret. He has been dreaming of the older woman since at Eaton, and now he hopes to make those fantasies come about. Just one night - and he promises to protect her precious reputation. The Scandal of it All is a great story. Older women/younger men just wasn’t the thing during that day and age. Ela has a daughter and stepchildren, and is most certainly “on the shelf”, but, she is still a woman with needs. Colin is only too happy to remind her of that very fact. 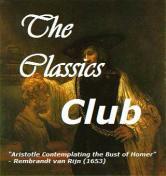 With great characters, engaging dialogue, spicy repartee and a delightful conclusion, this a terrific read. 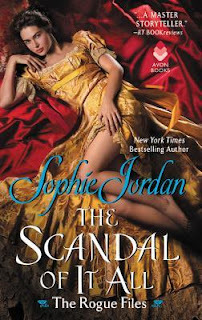 The Scandal of it All is the second book in The Rogue Files series. The first book in the series is While the Duke Was Sleeping. Then there are The Duke Buys a Bride (2018), and This Scot of Mine, which will be released in March, 2019. The Duke’s Stolen Bride is set for publication later this year. While the Duke Was Sleeping review: https://www.robinlovesreading.com/2019/01/review-while-duke-was-sleeping.html. And as if she's not busy enough, Sophie writes young adult fiction for HarperTeen and contemporary paranormals for Pocket. 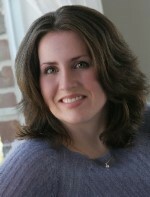 Sophie resides in Houston with her family and loves to hear from readers. To learn the latest information about Sophie and her books, follow her on facebook and twitter.